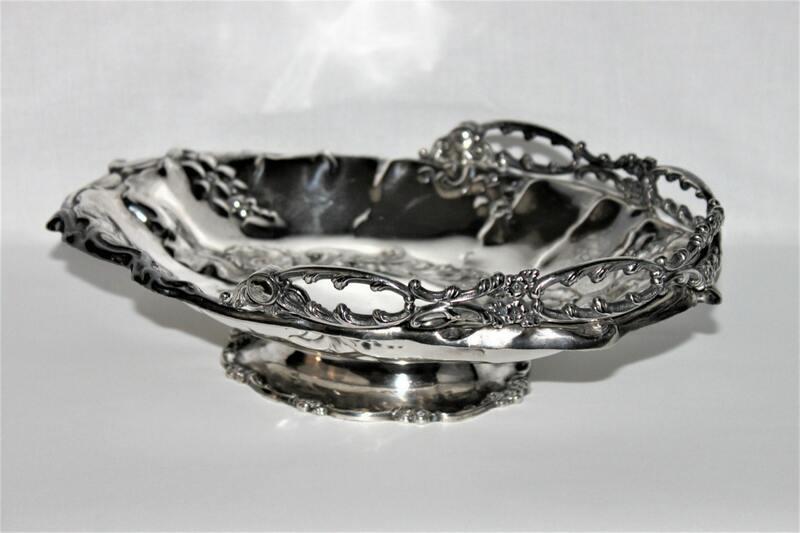 This is an elegant Victorian Era antique silver plated bridal basket with a Georgian Flower type design. 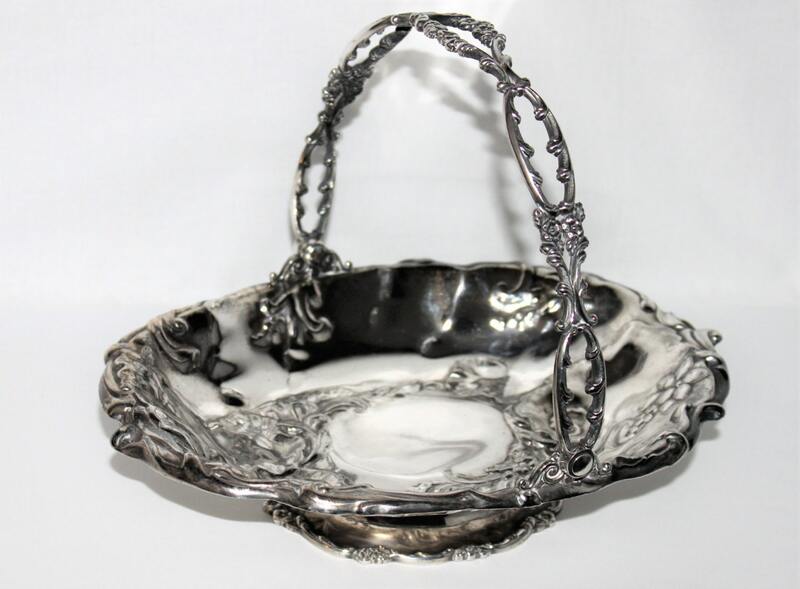 The basket has a large ornate curved handle that moves freely. 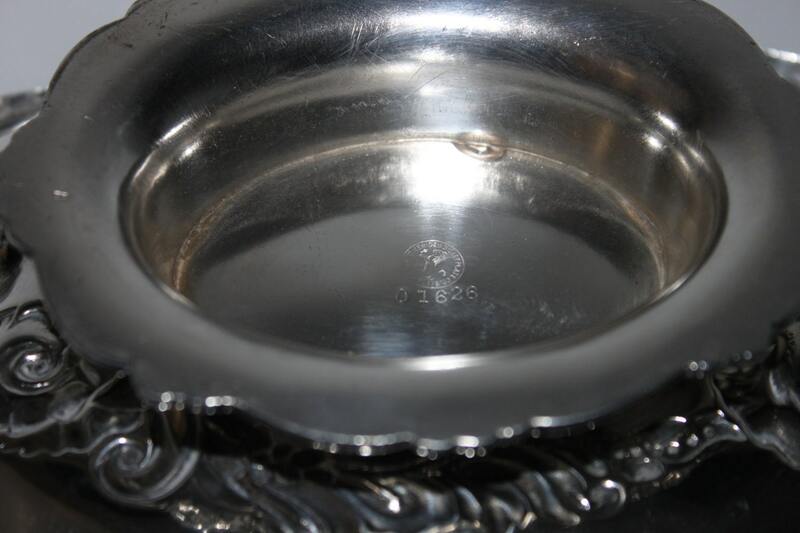 It is marked on the underside with the serial number and Meriden Silver Plated. 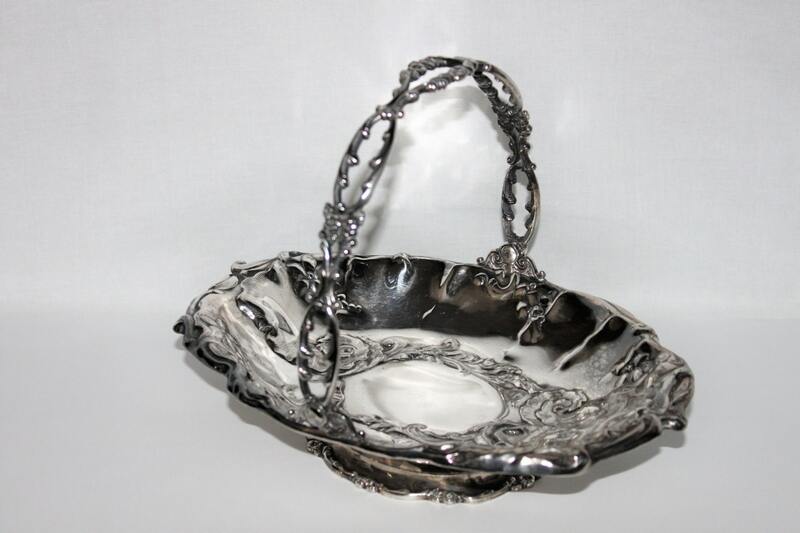 This basket will make the perfect (Something Old) item for your wedding. 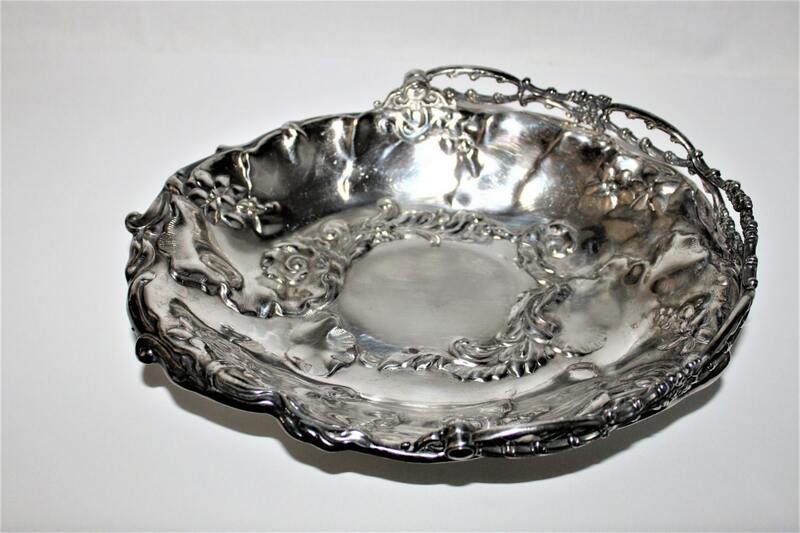 Measures; 11" long by 8" wide and 8 ½” tall with handle. Condition; very good vintage condition with no dents or dings and only minor scuffs inside with moderate (and charming) tarnish, bottom has scratches on under side of base.